the literary development of French prepared the vocabulary and grammar for the Classical French (le français classique) spoken in the 17th and 18th centuries. Among the elites, Latin was still the language of education, administration, and bureaucracy; this changed in 1539, with the Ordinance of Villers-Cotterêts, in which François I made French alone the language for legal acts. Regional differences were still extremely pronounced throughout France: In the south of France, Occitan languages dominated; in east central France, Franco-Provençal languages were predominant; while, in the north of France, Oïl languages other than Francien continued to be spoken. The fascination with classical texts led to numerous borrowings from Latin and Greek. Numerous neologisms based on Latin roots were introduced, and some scholars modified the spelling of French words to bring them into conformity with their Latin roots, sometimes erroneously. This often produced a radical difference between a word's spelling and the way it was pronounced. Spelling and punctuation in this period are extremely variable. The introduction of printing in 1470 highlighted the need for reform in spelling. One proposed reform came from Jacques Peletier du Mans, who developed a phonetic spelling system and introduced new typographic signs (1550); but this attempt at spelling reform was not followed. Middle French is the language found in the writings of Charles, Duke of Orléans, François Villon, Clément Marot, Rabelais, Montaigne, Ronsard, and the poets of the Pléiade. In French Canada's history, Middle French is almost only encountered when reading the travels of Jacques Cartier in their original versions, after which the history usually fast-forwards 65 years to Samuel de Champlain, whose French is better characterised as Classical. 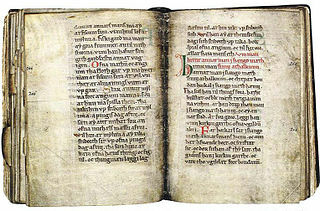 ^ Hammarström, Harald; Forkel, Robert; Haspelmath, Martin, eds. (2017). "Middle French". Glottolog 3.0. Jena, Germany: Max Planck Institute for the Science of Human History. ^ Larousse, vi, xiii-xiv, xvii; Bonnard, pp. 113–114. ^ Wartburg, p. 160; Bonnard, p. 114. Provençal is a variety of Occitan spoken by a minority of people in southern France, mostly in Provence. In the English-speaking world, the term Provençal has historically also been used to refer to all of Occitan, but is now mainly understood to refer to the variety spoken in Provence. A vernacular, or vernacular language, is the lect used in everyday life by the common people of a specific population. It is distinguished from national, literary, liturgical or scientific idiom, or a lingua franca, used to facilitate communication across a large area. It is usually native, mostly spoken informally rather than written and usually seen as of lower status than more codified forms. It can be a distinct stylistic register, regional dialect, sociolect or an independent language. 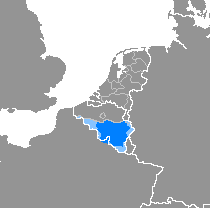 The langues d'oïl are a dialect continuum that includes standard French and its closest autochthonous relatives historically spoken in the northern half of France, southern Belgium, and the Channel Islands. These belong to the larger Gallo-Romance languages, which also include the historical languages of east-central France and western Switzerland (Arpitania), southern France (Occitania), portions of northern Italy, and the Val d'Aran in Spain. Norman is a Romance language which can be classified as one of the Oïl languages along with French, Picard and Walloon. The name Norman-French is sometimes used to describe not only the Norman language, but also the administrative languages of Anglo-Norman and Law French used in England. For the most part, the written forms of Norman and modern French are mutually intelligible. This intelligibility was largely caused by Norman language's planned adaptation to French orthography.